Our friendly bar staff and wooden dance floor make it a favourite location for that special occasion. If you are looking to hire our venue then the first thing to do is check out our availability by checking our calendar and check to see if the date that you wanted is available. Some of the events and functions shown are happening in the afternoon so the hall may be available in the evening. If you are in any doubt – please ring our Club Manager Laura Ripley on 01494 711485 9.30-12noon Mon-Fri or email admin@hgsa.co.uk and we will be happy to assist. Access for set up and laying out tables, food etc. may commence at 6.30pm. HGSA Card Holders are entitled to use the club during functions but after 7.15pm will retire to the Back Bar – which is not available to function guests. In the interests of our card holders, music must not be played until after 7.15pm. Last orders at the bar will be called half an hour before the end of the function. We would ask that no drinks, either soft or alcoholic, are to be bought onto the site but prior arrangement can be made with our Bar Manager regarding champagne (a £3 per bottle corkage will be charged). Although we do not offer in-house catering, we have contacts for buffets, or for the warmer evenings you can hire our catering BBQ, we also have contact details for a chef who will happily cook for you. HGSA will require a signature for guarantee. In the event that damage or inconvenience is caused to HGSA or its staff, this would include abuse to the staff or club card holders, calling of any emergency services to deal with disruptive guests or excess mess left at the club. By signing the hall hire booking form you guarantee to pay up to £250 by way of compensation if required by the HGSA Committee. Door Staff are required for parties for 16 to 21 year olds. For 16/17 year olds there is a charge of £150.00 for 2 door staff to be paid directly to the door staff on the evening of the party. For 18 year olds there is a charge of £225.00 for 3 door staff to be paid directly to the door staff on the evening of the party. For 19/20/21 year olds there is a charge of £150.00 for 2 door staff to be paid directly to the door staff on the evening of the party. Door staff will require a guest list on the evening – anyone not on the guest list will not be admitted into the venue until agreed by party host. If your party is known to be advertised on Facebook or any other social media site, your party will be cancelled and hire cost minus your deposit will be returned. For all parties up to the age of, and including 18 year olds, HGSA require some adult & family presence at the party. 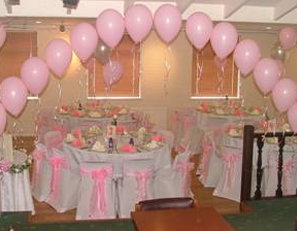 You are required to clear up after your function, all items are to be removed from site, all tables clear from food and all table cloths cleared away. NO BLUE TAC, STAPLES, SELLOTAPE or PINS are to be used at the club to affix posters, banners or pictures. Hooks are provided around the dance floor to be used to hang decorations. Please pass this form Music Providers onto your Disco/Music provider. Ask them to complete it and pass to the bar staff, this MUST be provided before your function can commence. Our license insists that all window and doors are kept closed after 10.30pm. Bar staff have the right to ask for the music to be lowered if the doors and windows are not kept shut. If you are happy with all of the above and would like to complete our on-line request form then please click on request form. If you are in any doubt – please ring our Club Manager, Laura Ripley on 01494 711485 on weekday mornings or email admin@hgsa.co.uk and we will be happy to assist.